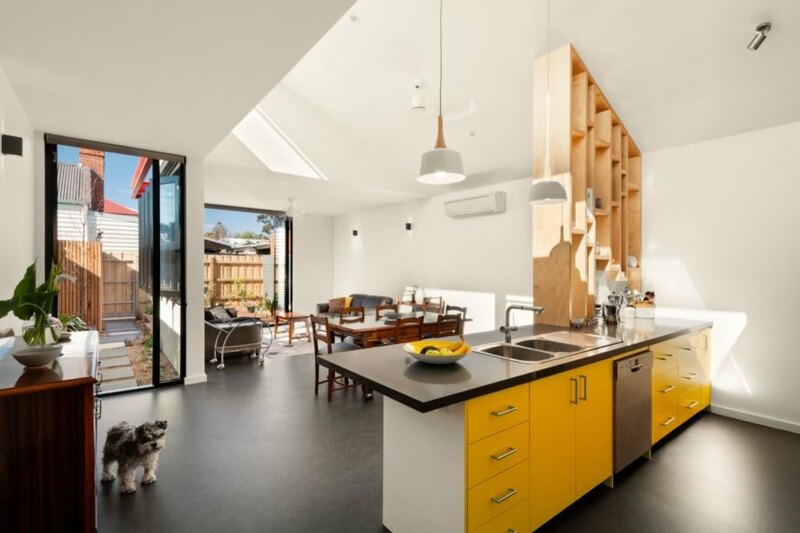 Formerly cold, dim and damp, a terrace house in Northcote, Victoria has been reborn into a vibrant and welcoming dwelling with an emphasis on gardening. 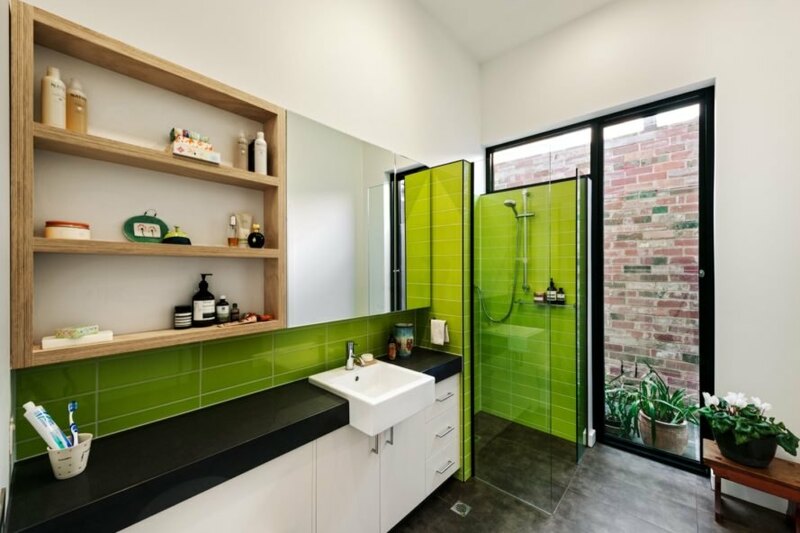 Designed by Green Sheep Collective for a client named Jill, the compact project, named Jill’s House, saw a modest expansion of just 22 square meters of space yet gained its bright and spacious feel thanks to a thorough renovation. Created to meet the client’s aspirations for a “very healthy home,” Jill’s House embraces recycled materials, low VOC finishes and passive solar principles for a minimal energy footprint. 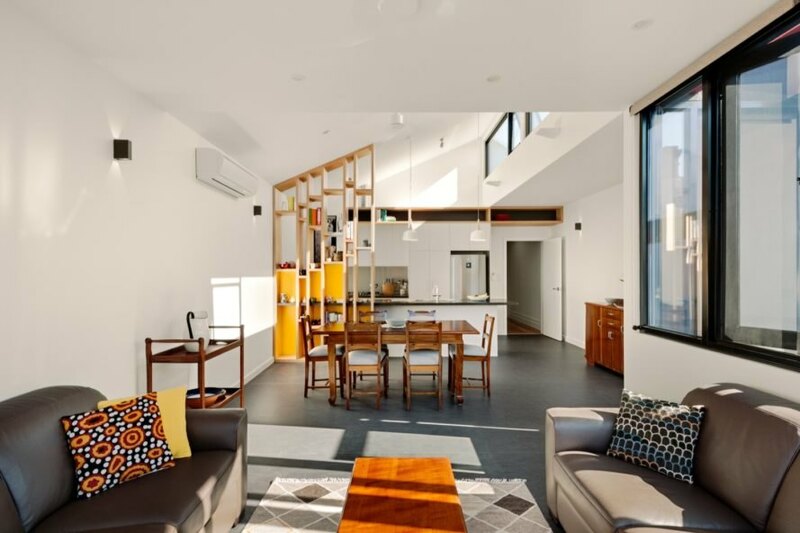 Having developed deep ties with her local community, the homeowner wanted the renovated house to be suitable for long-term living and retirement. As a result, the redesign prioritized accessibility, low maintenance and durability. Tapping into its extensive experience in eco-friendly retrofits, Green Sheep Collective opened the home to greater amounts of natural light while improving energy efficiency with the reorientation of the living areas to the north and the installation of high-performance materials, such as improved insulation and low-e double glazing. The open-plan living area also enjoys a seamless connection with the outdoors to support the client’s hobby of gardening. Adding to the overall sense of vibrancy, bright pops of color woven throughout were inspired by the client’s favorite Derwent pencils from childhood. A natural materials palette — including plantation timber flooring and recycled red bricks — lend additional warmth and complement the restored furnishings that include the dining table, dining chairs and lounge suite. 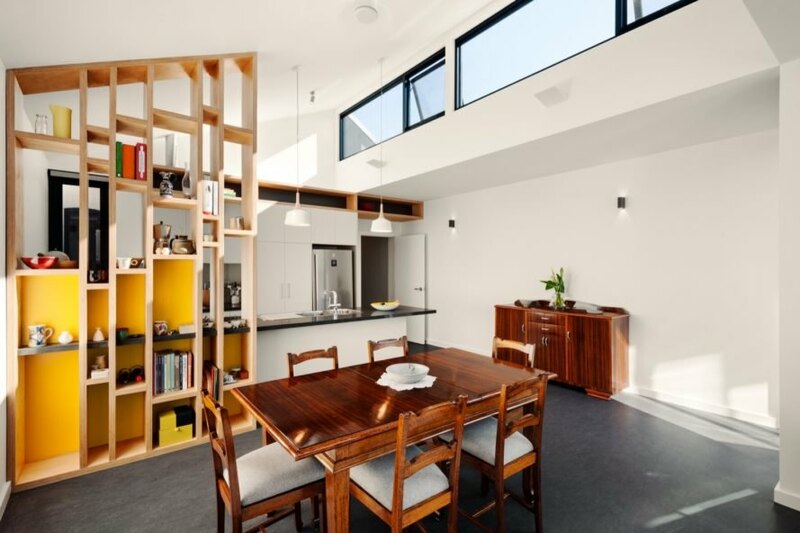 This bold home in Northcote, Victoria was once a dull dwelling. 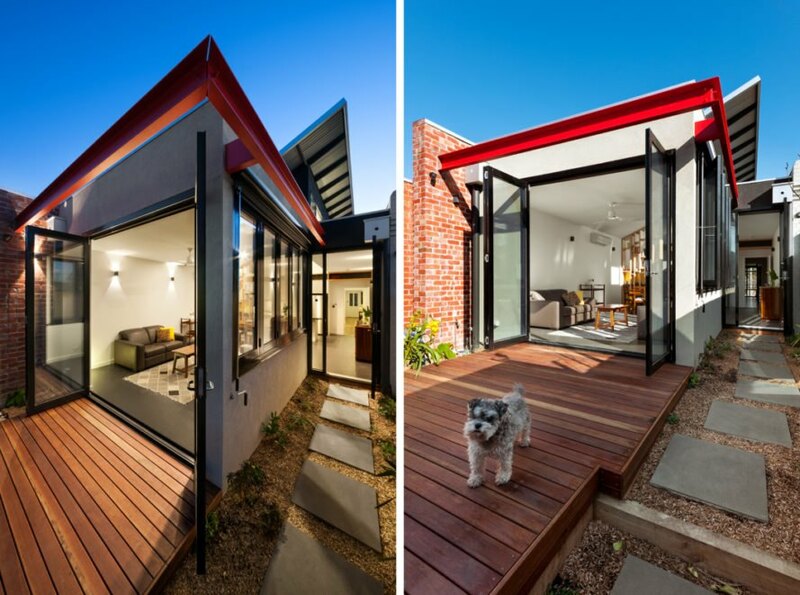 Green Sheep Collective transformed the house into a vibrant residence for an avid gardener. In an ode to the client's childhood, the designers included pops of color throughout. The resident, Jill, requested a healthy living environment. The designers responded with sustainable design elements, like low-VOC and recycled materials. The bold design reaches every corner of the small home. The house now offers a cozy space for the inhabitant to garden, cook or just relax.